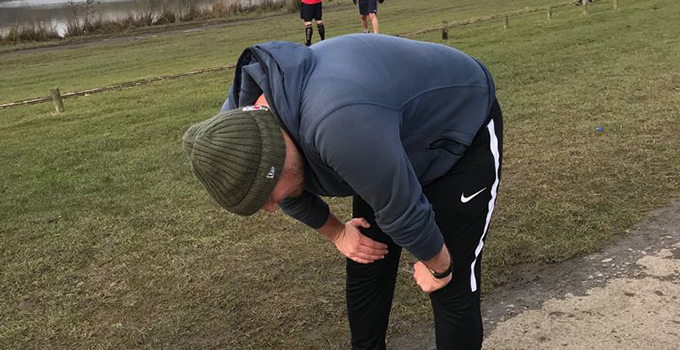 To help inspire you to make and achieve your Active Wellbeing Week pledge, we’ve collected some truly fantastic fitness stories from some of our CSSC members. These six-week journeys show the small steps our CSSC members took to lead a more active lifestyle and the big results that followed! Whether it’s adding a bit more movement to your day, or embarking on a major event, these stories will inspire you to achieve your pledge. Learn more about these and other inspirational stories over on the CSSC website. Meet Liam, a HEO Check Line Manager working between Sheffield and Halifax. Liam’s always been fit and active, but just recently he’s struggled to find time for exercise. With a wedding on the way, Liam was inspired to get fit without the use of a gym. Some of Liam’s activities include Monday night football, running to work, walking his cockapoo Ralph and cycling. Building exercise into everyday routines is the perfect way to become more healthy and enjoy the Great Outdoors. Liam’s hoping that his fitness journey will lead him to feel like he did in his mid-20s. Liam, we salute you! This is Victoria, otherwise known as “V”. Her story is one of small steps toward health and wellbeing. Whilst Victoria has always enjoyed exercise, she often found a reason to put off doing it. By changing the way she thought about food and being active, “V” has made a big difference to her health. In fact she has already lost 19 lbs, which is a super achievement. One of the main reasons for embarking on this journey was to inspire others to lead healthier lifestyles. We can all agree that V has certainly done that. determined to get that bit healthier. 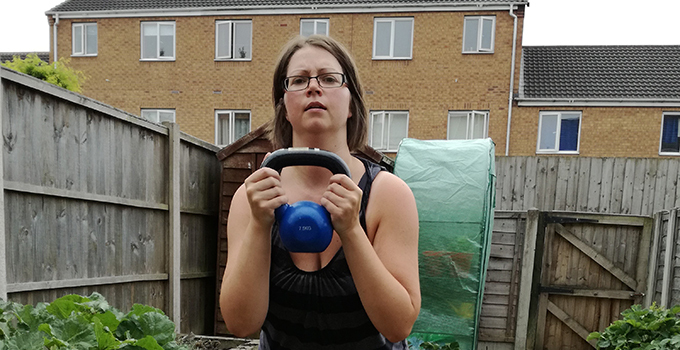 After joining a slimming group, Michelle lost 8 ½ stone, which is a fantastic achievement. introduce a bit of exercise into her life, Michelle took inspiration from CSSC’s My Active page, setting herself the goal of running 5K. Successfully completing the local 5K Colour Obstacle Rush in June 2017, Michelle went on to form a flourishing social media group for anyone interested in fitness. wanted to exercise, but often found that life simply got in the way. With just the right blend of practical advice and guidance, Dawn has really enjoyed her running experience. Her dream is to complete 5K, and we’re sure she’ll do it! Once a keen cyclist, Kathy used to regularly ride 60 or so miles a day. In her late 40s Kathy made a career change and joined the Civil Service. This meant re-training and a lot of time spent studying. 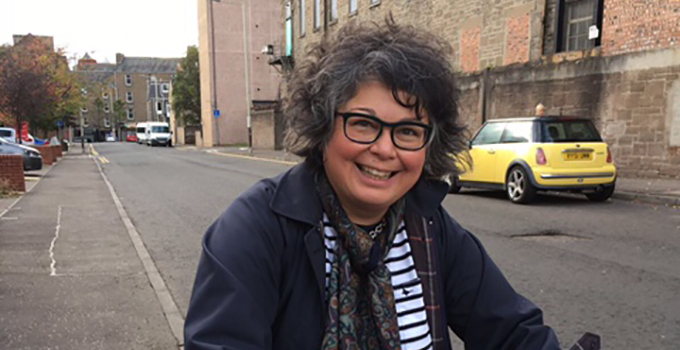 Inevitably Kathy’s commitment to her work put the brakes on her passion for cycling. After several failed attempts at dieting Kathy decided to try something different. In August 2016 she joined Weight Watchers and bought a Fit Bit. This led her to start a support group in the office. Kathy’s story is truly inspirational. She’s building regular exercise into her daily routine and taking small and simple steps toward fitness. 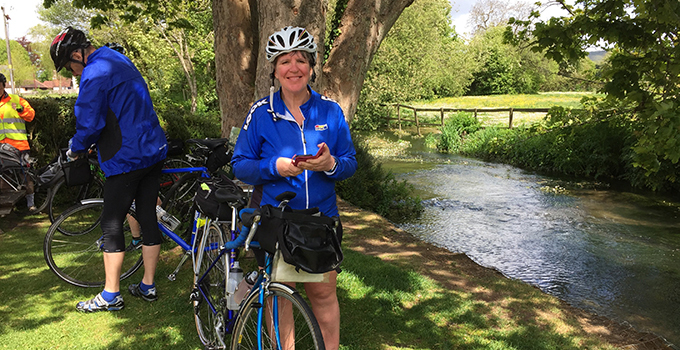 This has led Kathy to reignite her love for cycling and she’s really enjoying being back in the saddle. Dave sees himself as just an ordinary bloke who needs to get fit. However his story is far from ordinary. After developing severe back problems, caused by spending too many hours at his desk, Dave realised that getting fit was the only way to continue to do the things he loves. Back in September 2015, Dave found it very difficult to even walk small distances. Undaunted, he began to walk further and further and in 2017 managed to walk an astonishing 2017 miles! 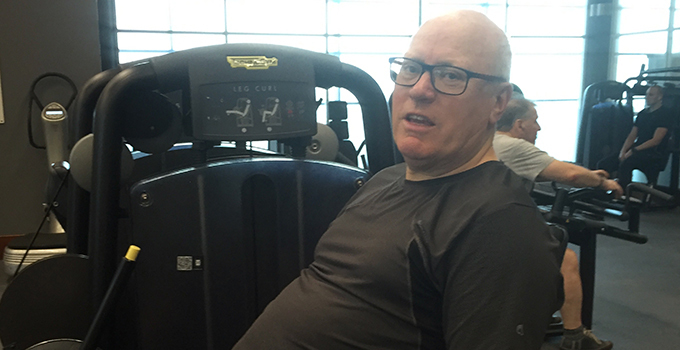 Dave’s journey has centered around his local gym. Using his CSSC membership to save on fees, Dave’s really got to grips with exercise. This has included addressing his injuries in the right way, building a structured routine and trying yoga, Pilates and swimming. Most of all, Dave’s loved meeting new people, which is one of the best benefits of all. In the summer of 2016, Richard was diagnosed with General Anxiety Disorder and Depression, yet 24 months prior to this he was an avid cyclist and would commute the 24 mile round trip to work every day. 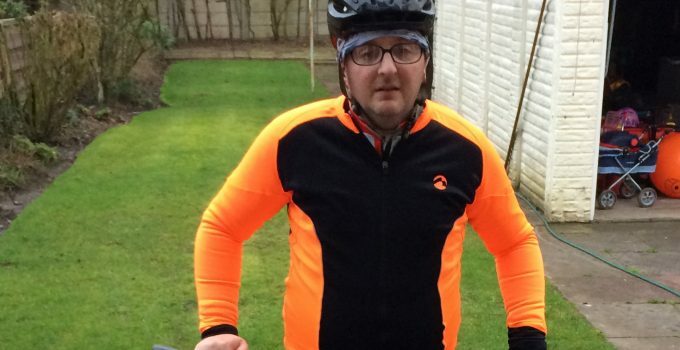 Richard decided to be part of “Inspire Me” and write 6 weekly updates reporting on his journey to get back to cycling and with the help of friends, family, colleges, his councillor and most importantly his wife he slowly started to get better. Here’s what Richard said before his training journey; “The one thing I would say to anyone out there is if you are feeling lonely, stressed, depressed or anxious is to seek the help you need. Don’t be afraid you are not alone there are people out there who will help you. Hopefully cycling will help me part of the way to get back to how I want to be and how I know I can be. A happy guy who loves life and his wife and daughter”. Here’s what Richard said after the 6 weekly updates; “The cycling is getting easier, the distances are getting longer. I’ve done about 50 miles in the last week. Writing this blog for six weeks has helped me immensely. It has helped me with my emotions, my anxiety, my depression. Never forget it’s not about how far you go, it’s the fact you are outside doing it that counts”. Meet Julianna, she works as a Scientific Specialist for the HSE. 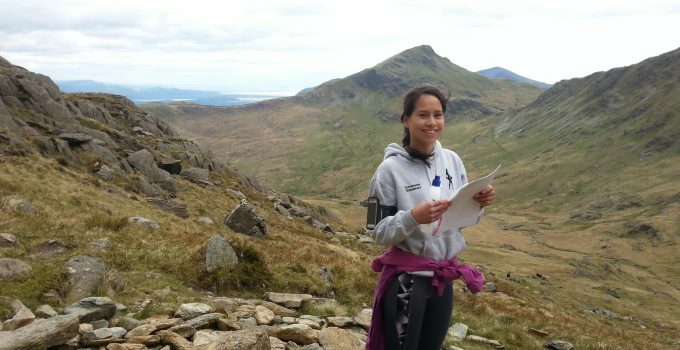 Julianna wanted to improve her general fitness and was introduced to running outdoors with colleagues a couple of years ago and started enthusiastically but soon lost her momentum. 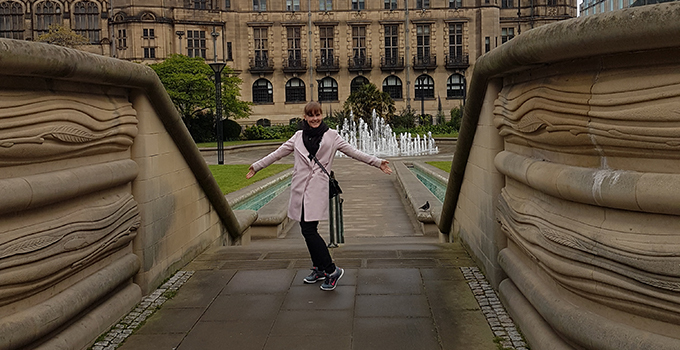 Julianna wrote 6 weekly updates in the hope of getting back into running again and started the desk to 10k plan which can be found on the CSSC website – Beginner Training Plans. Julianna also went along to hockey practice with a friend and ended up playing in the match! This is what Julianna had to say “Week 1 of the training plan was easily manageable as most runs were less than 30 min and it included 3 rest days! This made it easy to fit into a busy schedule and convince colleagues and friends to join me. I really do appreciate the company and support of running partners, as it not only makes me feel safe on dark nights but is also a great distraction”. I love the fact that you can run anywhere, with minimal equipment and hassle. All you really need is a good pair of trainers and determination. I have found so many willing running partners, from friends to ‘man’s best friend’. I certainly wouldn’t have found that if I suggested going to the gym. This is your chance to be creative and get active this summer. Choose to walk to work, take part in office chairobics or use the stairs.